Long dominant in online search, advertising, and maps, Google has shifted gears from utility to beauty–and is now more fearsome than ever. “I had just assumed that Google was hostile to designers,” says Matias Duarte one afternoon this summer. We’re in a drab Google conference room at the Plex, and Duarte sports a red-and-yellow floral-print shirt, skinny khaki pants, and a pair of white sunglasses. With his short, matted hair, he looks more like a Madrid clubgoer than your typical schlubby Google engineer. That’s the point. Duarte is one of the most storied designers in the mobile software industry. 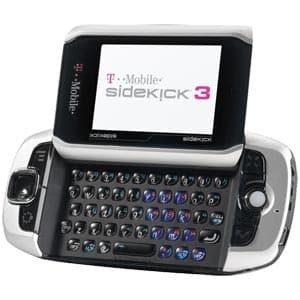 In the early 2000s, he led the design team at Danger, where he helped create the Sidekick, a phone that became a hit with celebrities for its amenability to texting. Later, he led the team that built the critically acclaimed user interface for Palm’s mobile operating system. Throughout his career, Duarte has won 37 mobile device patents. In all of these efforts, Google’s aesthetic aim is clear: to disappear. The most beautiful Google experience is the one you never notice. Duarte took the job; he is now Android’s design director. This is the story of how Google taught itself good design. In the two years since Page became CEO, Google has transformed itself from a search firm noted for middling user interfaces into the buzzworthy producer of some of the cleanest, most striking hardware and software anywhere. The change occurred gradually, so you could be forgiven for missing it. But open any of the company’s elegantly spare mobile apps, or run your hand along the sleek and sturdy Chromebook Pixel laptop, or experience the unboxing process for Google Glass, and you see it: Google is now imbuing everything it does with the sort of effortless panache that the tech world once associated only with Apple. The implications of this transformation are enormous. Apple’s unmatched talent for design has long been its chief advantage over Google (and everyone else), one of the primary reasons that its products inspire mouth-frothing joy in users and why its profit margins remain outsized. What if Google could steal some of that magic? We saw the first glimpse of this potential last winter when the search company capitalized on the failure of Apple’s map app with an iOS map app of its own. No one was surprised by the accuracy or comprehensiveness of Google’s app–those qualities are what we’d long expected of Google and why the world had demanded the product. What came as a shock, though, was Google Maps’ instant visual appeal. The old Google Maps app–which Apple built into earlier versions of the iPhone–had a staid, workmanlike interface. Google’s new app–on Apple’s platform–wasn’t just better than its old incarnation. It was cleaner, less ostentatious, and more immediately approachable than Apple’s own Maps app. It suggested a new winning formula for the firm: When Google married its globe-spanning, data-spinning cloud services with a simple, universally beloved interface, it could become Apple CEO Tim Cook‘s worst nightmare. If you ask a Google designer to mark the shift between Google’s old approach to design and its new one, you’re likely to get a precise date: April 4, 2011. That’s the day Page became CEO. It’s also the day Google designers were set free. Within a week of taking over, Page called together the company’s top designers, product chiefs, and executives to outline his vision for Google’s aesthetic future. Page’s ideas meshed with a plan that designers had long thought Google should embrace. First, Page argued, Google had too many different designs. The company had launched dozens of new sites and services over the past decade, and each product chief had imprinted his own design sense on his property. Now all these designs felt at odds. A user moving from one Google service to another would encounter vastly different interfaces. The products looked as if they were made by competing companies. The other, bigger problem was beauty–or rather Google’s lack thereof. “The DNA of Google was really in simplicity and usefulness, but there was this third piece of design that has never been as much of a focus,” says Jon Wiley, the lead designer for Google Search. The deficiency stemmed partly from the company’s culture, which famously sidelined designers in favor of engineers. In 2009, Google’s former design director, Doug Bowman, who now heads design at Twitter, wrote a scathing critique of the search company’s analytical, data-driven approach to aesthetic decisions, such as its reliance on traffic logs to determine which of 41 shades of blue would attract the most clicks on the search results page. Users had also changed. In its early years, when Google’s services were accessed mainly on ugly desktop workstations (and Apple machines were barely a blip in the market), beauty didn’t matter much; nobody expected an aesthetically pleasing experience on a Dell. But touch-screen devices had altered that calculus. “Human beings have thousands of years of experience with the design of physical goods–with objects that we can interact with in a tactile fashion,” Wiley says. With the rise of sleek, portable touch-screen computers–i.e., the rise of Apple–people were now interacting with software in the same hands-on way they do with cars, clothes, appliances, and other physical goods. “Our expectations of the real world began transferring to the virtual world,” Wiley says. Google’s designers needed to address questions that they’d scarcely considered before: How do you feel when you use the product? Is it friendly, exciting, disorienting? Is it beautiful? Apple isn’t the only outfit making crave-worthy hardware. The evidence suggested they weren’t meeting those goals. In 2010, Google conducted a series of user tests to find out how people felt about Android. The results were stark: “A lot of people felt that Android was essential to their lives, but they didn’t like Android,” Duarte says. The robust abilities of the OS “made them feel small. It wasn’t empowering, but daunting.” The same could be said for other Google products. When you loaded up something made by Google, you were more likely to feel overwhelmed than welcomed. Google’s new design plan was born in a locked conference room at the Googleplex, just across the hall from Page’s office. In the spring of 2011, many of the firm’s top designers got together for the first time since Google’s earliest days to hammer out a new look for the company’s iconic products. Wiley and Chris Wiggins, a designer who heads a new Google-wide design unification group known as UXA (User Experience Alliance), named the effort Project Kennedy, because for designers, making Google a preeminent design firm was a moonshot worthy of JFK. For almost a month, designers spent every day squeezed around a giant conference table, poring over design printouts pasted on foam boards, moving between small groups working on a single product and larger groups working across products. They did manage to roll out a few new designs before the equinox, including a cohesive, spare look for Google Search, Gmail, Maps, and Calendar. But those designs were a first draft, and Google has since refined all these products. Project Kennedy’s more enduring legacy was the new design process that it inaugurated at the firm–a plan that has made beauty and cohesiveness a touchstone for how the search company now builds everything. The first thing you notice when you launch Google’s search app for iOS is nothing–it’s mostly white space, with minimal text and graphics and few extraneous details like real-world textures or drop shadows. But then touch the search app’s text box and you’re launched into Google Now, the company’s predictive personal assistant and its answer to Apple’s Siri. Google Now’s dominant design motif is the “card”–a little white information box that feels tactile; the user can access or dismiss it with a touch or a swipe. Cards are now found in nearly every Google product, from G+ to Search to Gmail to Glass, where they’re employed as a brilliant solution to a confounding problem: how to display a wide array of complex information at a glance, across a half dozen or more platforms, in a way that users won’t find overwhelming. Next, take a close look at the typography. The text, when it appears, is large, readable, and in a small palette of colors, accentuated by icons that are spare but not inscrutably minimalist. Compared to Apple’s weather app, Google Now’s weather card is both friendlier and more useful, thanks mainly to the typography and icons. Finally, say, “Okay, Google,” and ask a question aloud. With eerie accuracy–certainly, in mine and many other people’s tests, more than Siri’s–the app will understand what you mean and speak back an answer. And if you respond, it might have a conversation with you. White space. Cards. Clean typography. And a simple, consistent interface to access Google’s boundless power. These are the most recognizable elements in Google’s new library of design elements–the main phrases in what the company calls its common design language. Where only a few years ago you would have struggled to see any pattern in Google’s designs, now these four elements serve as the firm’s signature. When you spot them, you know you’re in a Google app. A key milestone in Google’s new approach to design occurred early in 2012, in a monthlong design sprint that led to the development of Google Now. It was one of the first instances in the company’s history in which designers, rather than engineers, took the lead in determining how a new Google product would work. “Larry had said that he wanted Google to focus on being an assistant, but one that was proactive rather than reactive–that got you what you needed before you even asked,” Duarte says. Google had a wide variety of technologies that could be a part of that system, including voice recognition, natural language search, a “knowledge graph” that provided answers to questions rather than links, and a teeming geographical database that could respond to people’s locations. Typically for Google, the design process that has led to greater cohesion between its apps is so informal and leaderless that, to the outsider, it almost looks like no process at all. Just as in the past, designers on each product team are given free rein to make their own aesthetic choices for their apps and sites. But to make sure their designs aren’t straying too far from the rest of the company, product teams regularly check in with the UXA group. How UXA accomplishes its unifying goal is subtle, though. Designer Wiggins, who heads the group, seems loath to use anything so rigid as the word standards. Several designers likened the new process to biological evolution. “What happens is that great ideas bubble up and you’ll see a conversation between app designers,” says Jason Cornwell, the lead designer for Gmail. “Some designer will come up with an idea, and maybe at first it will seem a little strange. If there was some top-down review process, it wouldn’t survive. But then it will turn out that it’s a huge win with users. You get little design mutations that occur in different teams–and if those mutations turn out to be adaptive, the rest of us will adopt them.” And so the system evolves. The trouble with prioritizing beauty is that you can’t measure it, and for Google, a concept that can’t be quantified is a challenge to talk about. Despite that long-ago flap over the search page’s shade of blue, designers at Google are unembarrassed about their reliance on user data to sharpen their own aesthetic intuition. Scores of design features in every Google product have been refined based on user logs. A year ago, Gmail unveiled a pop-up Compose window that doesn’t take over your whole screen when you create a new message. To come up with the size of that window, designers consulted Google’s data on the average length of people’s emails and chose a window height that would hold the vast majority of messages. Gmail’s designers also saw that most people never use text-formatting options, such as bold and italic, when writing email, so they hid all those buttons under a single icon in the new window. In both cases, they used data to hone their designs to mesh with how people engage with the product. Still, many design arguments can’t easily be settled by data. At companies with strong design leaders, such as Apple, these fights are usually settled by a handful of executives, or just one. Google, which prides itself on being a meritocracy, doesn’t like to work that way; the boss’s idea of what’s pretty shouldn’t be taken as gospel just because he’s the boss. So how does such a culture arrive at a definition of something as subjective as beauty? And how does it know when beauty is attained? Many Google designers seemed slightly, and rightly, flummoxed by these questions. But when asked what beauty means for Google, they’d eventually settle on an answer that involved the idea of simplicity and, deeper than that, of invisibility. Google’s core services–search, mapping, translation–are all awesome feats of engineering. But those powers will be most useful if their cold technical underpinnings are hidden from users, and if, instead, they appear in a way that seems more like magic than technology. You see this drive in many Google products. The Chrome browser, for instance, takes its name from the frame–the “chrome,” in user-interface jargon–surrounding a desktop OS window. The design team’s goal was to reduce this chrome to the point of invisibility so that the stuff on a web page became much more prominent than the buttons and icons on the browser window surrounding it. Google Now aims to do a similar thing. By intelligently anticipating your needs and floating information to you when you need it, Now renders the old search box wonderfully irrelevant in many daily scenarios. Or look at Chromecast, Google’s new $35 streaming TV device that’s small enough to disappear behind your set. “As a user, the beauty comes from the fact that it delights you and you don’t see it,” says Pichai. Google’s long-term goal for improving Android and Chrome runs along similar lines. After enhancing its own apps, Pichai says that Google will now focus on making its platforms present what he calls “design opinions” so that third-party apps will achieve design consistency across Android and Chrome. “When you click on something in an app and the screen transitions,” Pichai asks, “is there a consistent way it happens? Is there the right amount of ‘physics’ in an animation so that it makes sense for users on an intuitive level? If the platform provides for that transition and it becomes natural for apps to adopt it, all Android apps will become more gratifying. In that way we can achieve beauty, and users might not even notice it’s happening.” In all of these efforts, Google’s aesthetic aim is clear: to disappear. The most beautiful Google experience is the one you never notice. Google hired Olsson, and then things got stranger. Engineers showed her a 3-D-printed plastic eyeglass frame with no lenses and a tangle of electronics taped on each temple piece. Olsson’s job was to turn this ugly bundle into a pair of specs with a tiny screen that would display digital data at the periphery of the wearer’s field of view. More than that, she had to make the tiny computer physically comfortable, socially acceptable, and fashionable, too. Yes, it’s not yet socially acceptable to wear Glass, and the technology is so novel and potentially scary that many people have formed visceral reactions against the prospect of its going mainstream. But the fact that Olsson and the Glass team are attempting to marshal innovative design to conquer such a huge aesthetic challenge is a powerful illustration of the scale of Google’s design ambition. Duarte, Android’s design chief, says it’s exactly this level of ambition that draws him to designing for Google. “I feel like the future of Google is not just to become good at design,” he says. “The inevitable destiny is for it to become the best design company.” Duarte makes that case with the passion of a convert, arguing that Google is one of the few companies audacious enough to make big bets on next-gen devices such as self-driving cars and computers you wear on your face, devices that are redefining the very idea of computing and thus present the most vexing design problems. And yet, Duarte argues, another key factor in Google’s evolution is humility: Google examined its culture, found that it was weak in design, and systematically set about solving the problem. As it did, Google showed that it has learned how to adapt to a changing environment. In tech, that’s the definition of beauty. A version of this article appeared in the October 2013 issue of Fast Company magazine.